If you have a four-legged snowball, you already know how challenging it can be to keep Fido’s fur brilliant white. Here are 3 grooming tips for dogs with white hair that will keep your pup’s fur white. 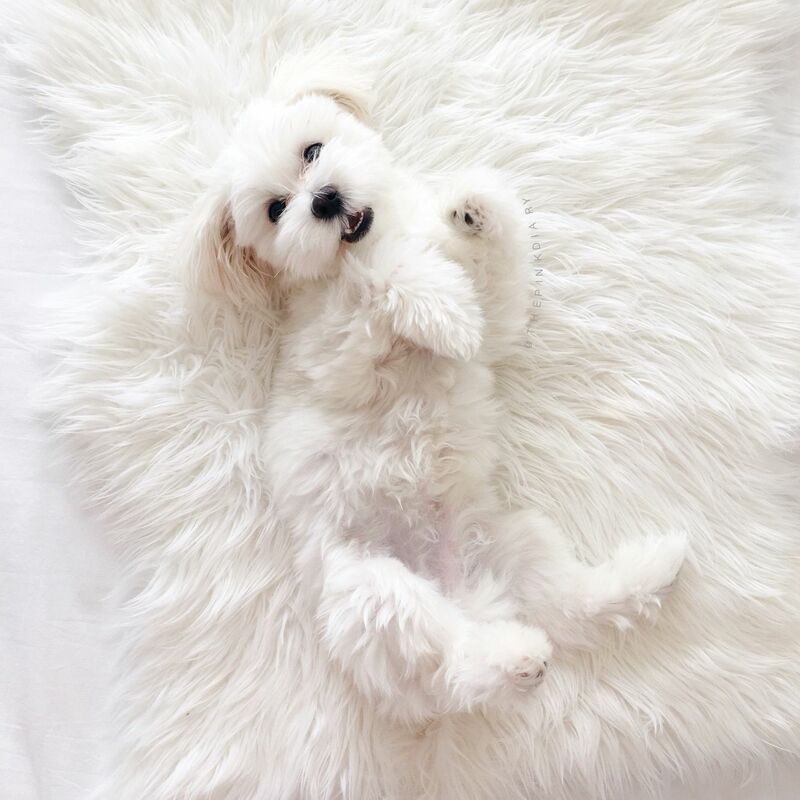 There’s nothing cuter than a little snowball puppy cuddled up in your arms. If you have one, then you know the joys but also the challenges of avoiding the red tear stains around your pup’s eyes, mouths, and maybe even their feet. You’ve tried everything, the constant washing, and scrubbing, but the only real solution is cutting the stains out. If you’re struggling with tears stains, you’re not alone. With dogs in almost 45 million homes in America, tear stains are one of the most common grooming issues reported by owners. Luckily, we have gathered a few solutions to prevent and remove the unsightly stains. In this article, we’ll go over the best three grooming tips for dogs with white fur to keep your pup whiter than a snowflake. Let’s get started. What’s the Best Grooming Tip for Your Woofer? Americans spend over $5 billion on grooming and boarding a year on their pets, but our tips are friendly to every budget. Check out our top three tips that dog owners everywhere are using to keep their white dogs, dog show ready. One of the tricks groomers everywhere swears by is whitening shampoo. The market is full of these dog shampoos, but the best dog whitening shampoo on the market is Mr. Groom. Don’t worry, none of these shampoos contain bleach! Instead, they contain clarifying brighteners and whiteners to safely remove stains and brighten your pup’s fur while adding some shine. If the stains get bad, you can make a paste with baking soda, a natural whitener, and water. Rub it into the stain, let it dry, and wipe with a damp cloth. With all whitening products, be careful not to get too close to the pet’s eye area. One of the other ways you can look to tackle your dogs tear stains is using tear stain removers. Epiphora is the excessive tear production in dogs that causes the reddish-brown stains around their eyes. Tear stain removers are elixirs specifically for the eye area in your pets. Avoid using other products like shampoos and whiteners near your dog’s eye area to avoid irritation. Pet wipes are a great option to keep up on your dog’s coat between washes of whitening shampoos. To maintain your dog’s white coat and prevent stains from setting in, use pet wipes daily after walks. These wipes are gentle enough for the dog’s skin and tough enough to remove dirt. Pay special attention to wiping the eye, feet, mouth, and genitalia area where stains are most commonly formed. Along with these tips, it’s always a good idea to brush your dog at least once a day to avoid the buildup of dirt resulting in stains. Whether you’re grooming your dog for a dog portrait or maintaining her everyday beauty, try out these grooming tips for dogs with white fur. For more tips on keeping your dog happy and healthy, check out Internet Vibes for the latest tricks and trends.